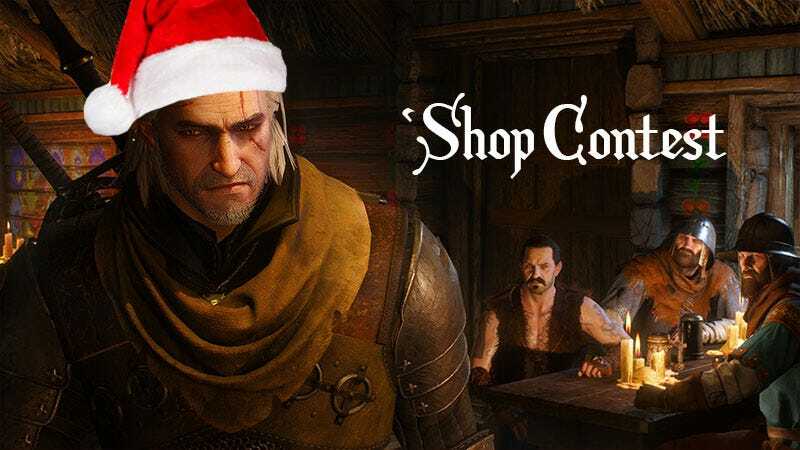 Thanksgiving is over, and you all know what comes next—a Photoshop contest involving decorating your favorite gaming images for Christmas. We skipped a week due to the holidays, but this week we’re getting back at them for it. Today’s games are wonderful and immersive and all sorts of amazing buzzwords, but they’re generally not all that festive. We can change this. We have the power. The task is simple. Find a screenshot or promotional image you think could use a little sprucing up and deck those virtual halls. Mistletoe, colorful lights, actual spruce trees—be subtle or make it look like one of those pop-up holiday stores exploded. Feel free to represent whichever winter holiday you celebrate, unless it’s Wintereenmas, because that’s stupid. Who’s ready to get festive up in here? 1. Create your ‘Shop and save it to your desktop. Images must be at least 800 pixels wide. If they aren’t, you will be playfully spanked. Contact the author of this post by placing a note in a tasteful gift, at fahey@kotaku.com or find him on Twitter @bunnyspatial.